FishingIce Fishermen: Is an Underwater Camera Right for You? Ice Fishermen: Is an Underwater Camera Right for You? 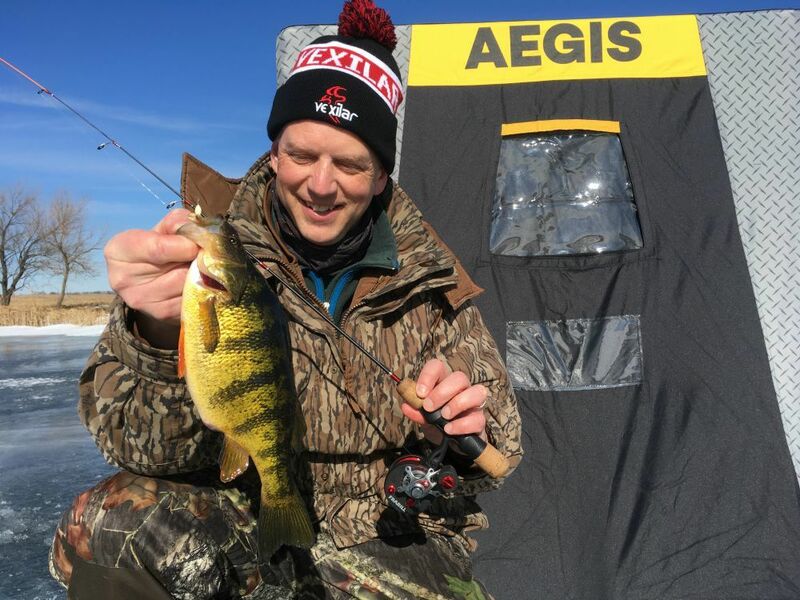 You enjoy ice fishing for sunfish, crappies and perch, but wish you had more success. Is an underwater camera the answer to finding and catching more and bigger panfish? Is it worth the investment? I’ve been an avid ice angler since the mid-1980s, which according to my 16-year-old son, Elliott, classifies me as “old school.” That said, I’m always interested in learning about new techniques or technologies that can help me catch more fish, so when my in-laws gave me an underwater camera at least 15 years ago, I was excited to try it. And you know what? I hated it. This early generation model (no longer made) was bulky, the cord was cumbersome to use and the picture quality was poor. After a few attempts at using it, both during ice fishing season and on open water, the camera found a corner of a closet and never again saw the light of day. Fast-forward to 2016, when I couldn’t ignore the number of YouTube videos on my phone showcasing buddies of mine in the fishing industry touting the advantages of using an underwater camera. These new models certainly were smaller than my outdated dinosaur; but would one of these cams really help me catch more fish? It was worth a try. Measured on the diagonal, the Aqua-Vu Micro Revolution 5.0 has a 5-inch screen; the entire unit is small enough to fit into a coat pocket. Not wanting to invest any money in a new underwater camera until I had first-hand experience with one that impressed me, I asked to borrow a friend’s Aqua-Vu Micro Revolution 5.0. You see, even though Elliott had never held a Micro Revolution 5.0, he’d watched enough ice fishing videos on Instagram to consider himself an expert. And I have to admit that his knowledge of the unit was impressive. Unlike my old-school camera, this one was compact, measuring approximately 5.25 x 3.75 x 2 inches. And that includes the lens and wrapped cord. In fact, the unit would fit easily into any one of my winter parka’s pockets. The Integrated Camera Reel System is superb. Basically, you can peel off the cord because the spool on the back of the unit rotates, then you can wind the cord back onto the spool with aid of a small handle. The tiny, lightweight camera lens is protected and held securely on the edge of the Reel System. Unlike the heavy, massive lens on my original underwater cam, this one is about the size of a baby-cut carrot. The controls/buttons were limited in number and large enough to use with gloves. While the camera does have a menu button, you use it only if you want to adjust the screen (contrast, etc.) I didn’t change a thing from the factory default settings (just like my TV at home). Using the cam is as simple as opening the cover, pressing the power button for 2 seconds, and then dropping the lens in the water. It could not be any simpler. The author and his son visit a South Dakota stock dam, hoping for big perch on the prairie. Elliott took charge of the Aqua-Vu as we settled into our two-man Frabill Aegis 2415 ice shelter. This SoDak stock dam is small, so rather than cutting a bunch of holes and moving constantly, it made more sense to camp out and wait for the perch to find us. Plus, the wind was whipping, as it often does on the prairie, which would make moving a hassle. Initially, we cut three holes in a line, spacing them about 18 inches apart. Elliott placed the Aqua-Vu lens and cord down the middle hole and then adjusted the cord in such a way that the lens pointed horizontally at his jig. Aiming the lens at the jig was made easier because my buddy had also loaned us his Aqua-Vu Mod-Pod 3 (click here to learn about this aiming system). This worked well, but I couldn’t see my jig on the Micro 5.0 screen because the lens was pointed exactly away from my offering. I was using a Vexilar FL-18 flasher, which certainly showed my jig in relation to bottom and cruising fish, but it wasn’t as much fun as watching Elliott’s jig on the camera. After a few minutes of pounding our small jigs on the sand and silt bottom of the stock dam in 15 feet, a perch appeared on the Aqua-Vu. “There’s one,” Elliott said, his eyes glued to the screen. The perch slowly approached Elliott’s jig, then paused, hovering 6 inches away. I stopped jigging to prevent spooking the fish. Elliott slowly dropped his jig into the silt and then raised it and held steady. “Here it comes,” he said, and a split-second later we both watched the perch engulf his jig. I must admit, it was as exciting as watching a decent-size buck walk within shooting range while hiding in a treestand. The author’s son, Elliott, steps out of the ice shelter to show off the duo’s first camera fish. With Elliott and I jigging our original holes, about 40 inches apart, he lowered the Aqua-Vu lens into the middle hole, but he removed the Position Clip from the lens that had enabled him to position it horizontally. Now, the lens hung straight down from its cord. Elliott slowly lowered the lens until he could barely make out the bottom and our two jigs. My guess is he stopped lowering the lens at 12 feet. Now, instead of looking sideways at only one jig, we were looking down at two jigs. Twice the fun! Soon, I noticed the back of a wide-bodied perch approach my jig. Unlike Elliott, who was using a small jigging spoon tipped with a wax worm, I had a horizontal jig tipped with three spikes (Eurolarvae). I stopped jigging as the perch neared my lure, but that caused my jig to spin, which isn’t good. It was a light-bulb moment — how many times had this happened in the past while I was using a flasher? Except for those times when I was sight-fishing in shallow water during late ice, I never really had given this spinning problem much thought. To avoid the spin, I began slowly pounding the jig in the place. That movement got the perch’s attention, and it slowly closed on the lure. Light-bulb moment No. 2: The head of my jig disappeared in the perch’s mouth, but I could still see the spikes, which meant the fish didn’t yet have the hook inhaled. Instead of setting the hook as I felt the bump, which I would have done every time if using a flasher instead of a camera, I froze my rod tip. A split-second later, the perch spit the lead portion of my jig, which caused the lure to spin 180 degrees, and as the spikes swung around, the perch inhaled the hook side of my offering. I set the hook. The author’s first camera perch, a wide load to be sure. In terms of value — is an underwater camera worth the investment? 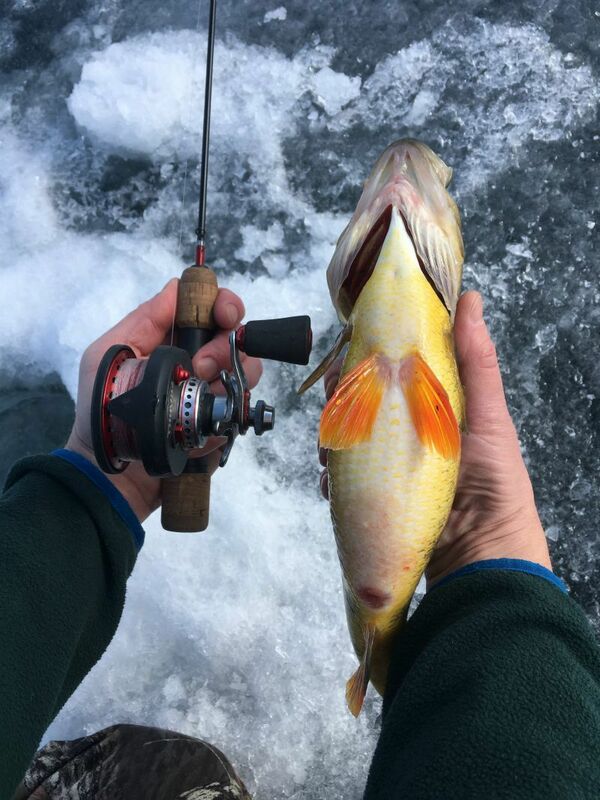 — I can only offer my opinion: I’ll never go on the ice in pursuit of panfish again without a camera. The advantages are numerous, and after using my own personal Aqua-Vu Micro Revolution 5.0 during the winters of 2016/17 and 2017/18, I can’t offer a single disadvantage. 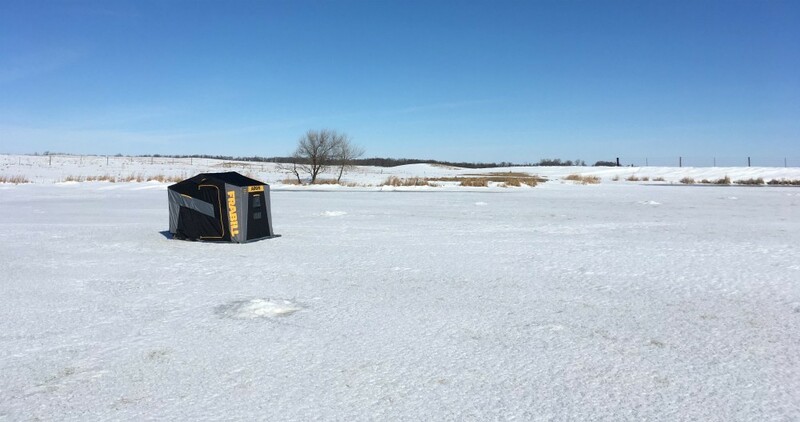 Important note: If the waters you ice fish are so dark that visibility is limited to less than 12 inches, then you’re probably better off skipping a camera and staying with only a flasher. However, if you can see 12 inches or more, and remember that many lakes become clearer during winter, a camera will help you catch more fish. Period. 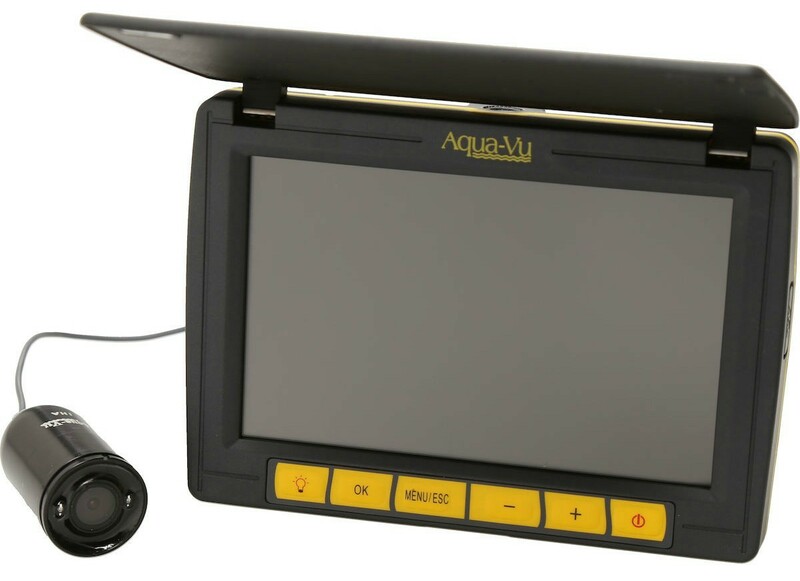 As for cost: street price for an Aqua-Vu Micro Revolution 5.0 is $350. You can spend $100 more on the Revolution 5.0 Pro, and get the additional features of on-screen temperature, on-screen direction and, most desirable for some anglers, the ability to record. None of these items were important to me, so I chose the less-expensive model. You can click here for a comparison chart of various Aqua-Vu micro cameras. 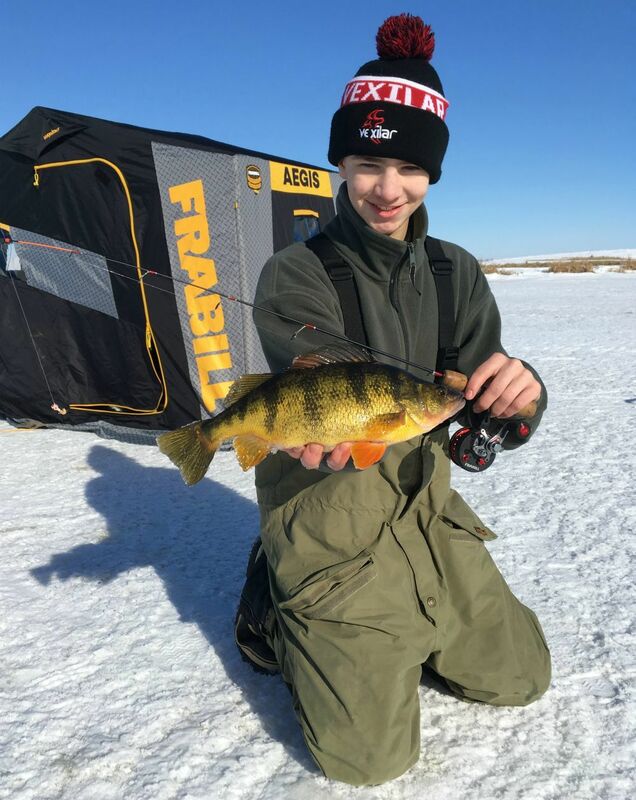 Big perch are fun to catch regardless of method, and the author discovered that he can hook into more of them by keenly observing their behavior around lures via an underwater camera. 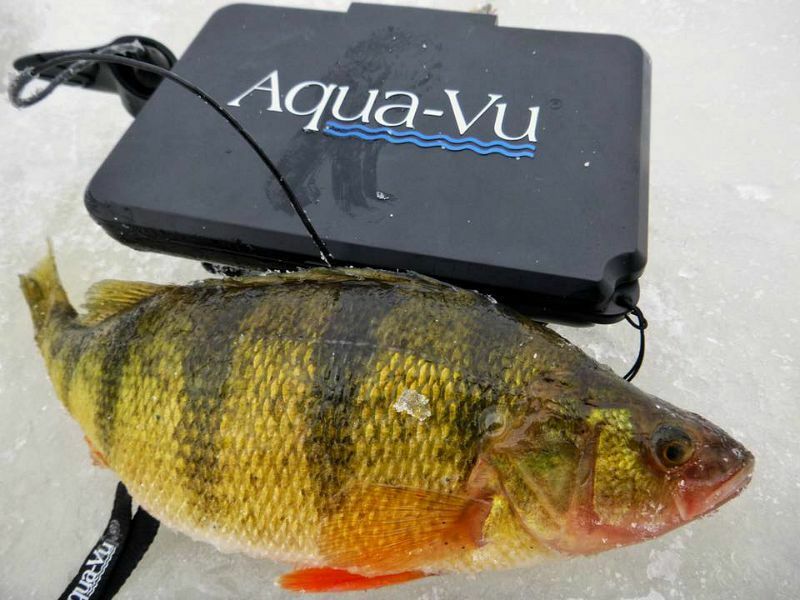 Check out the video below where Brian “Bro” Brosdahl explains how he uses an Aqua-Vu underwater camera to find and catch big panfish — and play keep-away from the small ones. Pay particular attention to the 3:42 mark; did you see the bluegill inhale the wrong side of the horizontal jig? Bro waits until that fish eats the bait side before setting the hook. And at the 3:58 mark, another bluegill almost inhales the whole offering, but rather than set the hook too soon, Bro waits just a moment longer until the fish positively has the hook in its mouth. Good stuff.